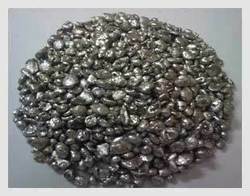 TheAntimony Metal Shotsare widely used in semiconductor industry as a dopant for ultra-high conductivity n-type silicon wafers in the production of diodes and infrared detectors. The Antimony Metal Shots are widely used in semiconductor industry as a dopant for ultra-high conductivity n-type silicon wafers in the production of diodes and infrared detectors. Packing : In 25 Kgs or 50 Kgs HDPE Bags or 01 MT Bulk Bag or as per customer requirement. Looking for Antimony Shots ?